Includes panel wall hooks and double-sided foam mounting tape. Translucent cover reduces glare and protects sign. 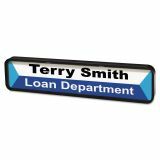 People Pointer DIY Sign, Plastic, 9 3/8 x 2, Black - Create inserts for these cubicle or wall signs in minutes using web-based templates and an inkjet or laser printer. 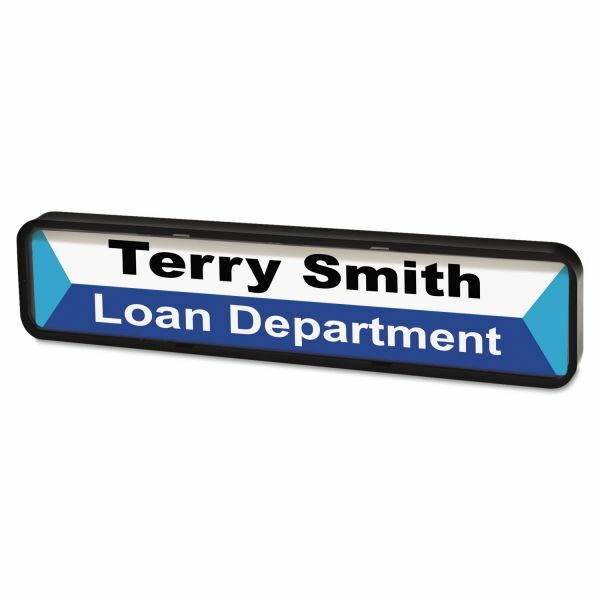 Signs include mounting clips and adhesive foam-back tape for easy installation.